How fun is it that I was able to photograph two precious little girls named Carly so closely? I think its such a sweet name and fits both of the girls that I have recently photographed perfectly! This little baby Carly belongs to one of my sister in laws. She is the youngest of ten kids and Carly is the 40th grand baby for her and my husband’s family. My husband is number eight in the family. Carly was a sweet little girl. When she was born she weighed in at nine pounds and was 22 inches long. 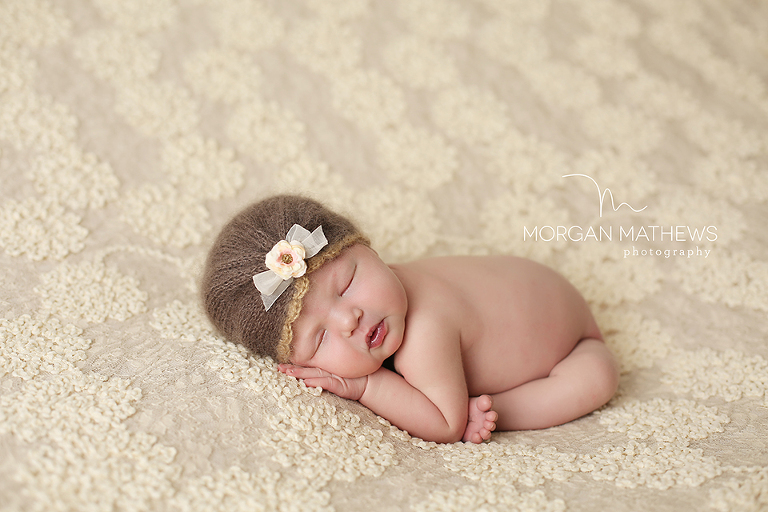 It was so much fun photographing a baby with so many cute squishy rolls. Being a Reno newborn photographer is so much fun. I have people ask me if I get bored doing the same poses over and over again and I have to say no way! Being a newborn photographer has a lot to do with reading the baby and knowing what they like and dislike. Even at the young age of just 8 days old… sweet Carly had her preferences! Carly loved to be really squished up. She loved being folded in half and feeling really tight and secure. I think it made her feel very safe and happy. I was so happy that mom picked out this darling brown hat. It is one of my favorites! The hat is from Britches and Bonnets her shop can be found HERE. 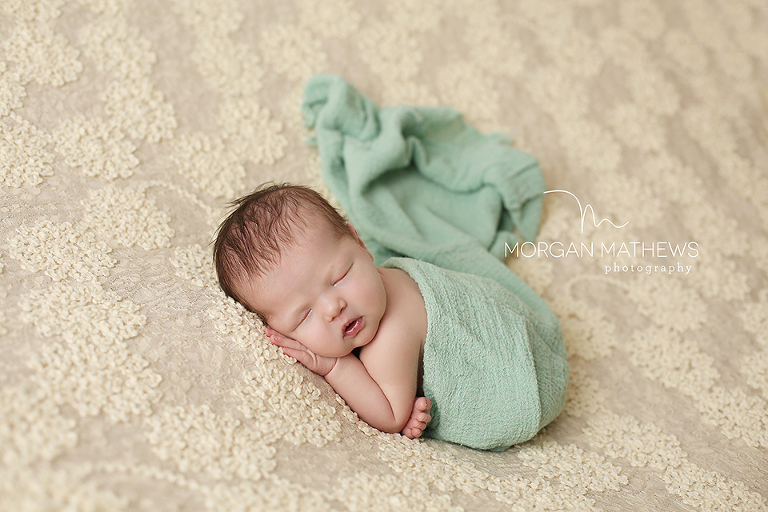 Sometimes being a Reno newborn photographer it is so hard to find cute props. A lot of the time I end up making my own. But I have been so lucky to find some amazing vendors! I had to get a few pictures of Carly and her older sister Jane. Carly looks so different than Jane did as a newborn. It is so fun to see all the different traits that can come from the same family. I think these sweet girls will grow up to be very good friends. Jane’s Dress is from Matilda Jane Clothing. Their website can be found HERE. If you are looking for a trunk keeper to buy Matilda Jane from I have an incredible one for you! Leave me a comment and I will get you her email! Carly’s wrap is also from The Bookworm Crochet. I hope that everyone has the best Labor Day weekend. My little Nixon is so incredible sick. I am sure I will spend the whole weekend watching Bubble Guppies and Paw Patrol. If you are expecting a newborn or know someone who is I would love to work with you! Please leave me a comment or fill out my contact form for more information! 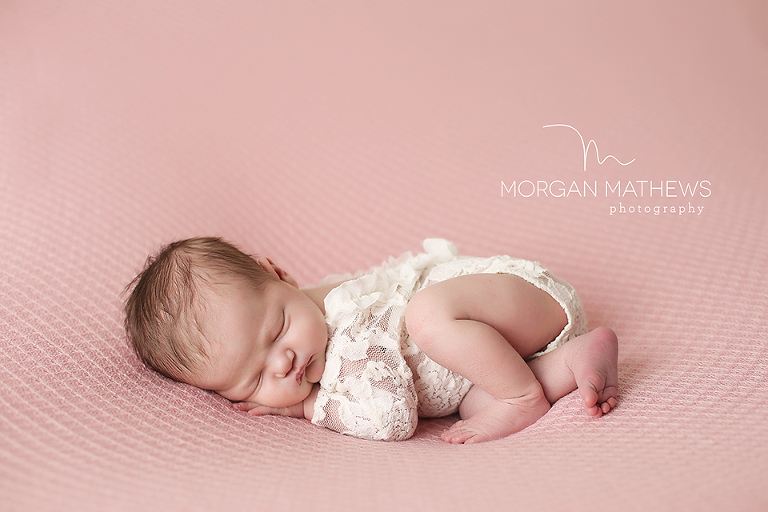 Morgan Mathews Photography specializes in Newborn, Baby, and Child Photography in Reno, Nevada and surrounding areas including but not limited to Carson City and Lake Tahoe.